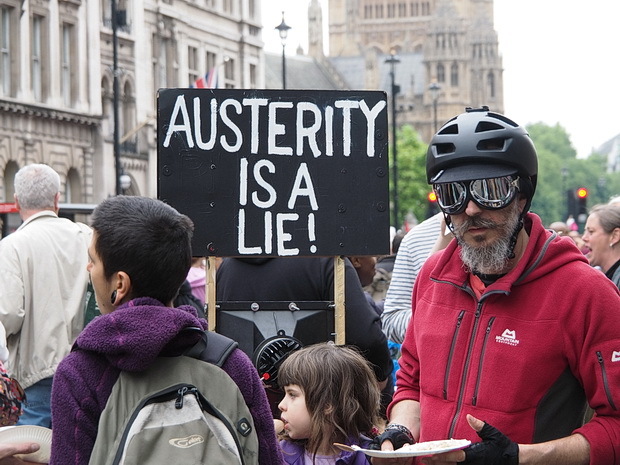 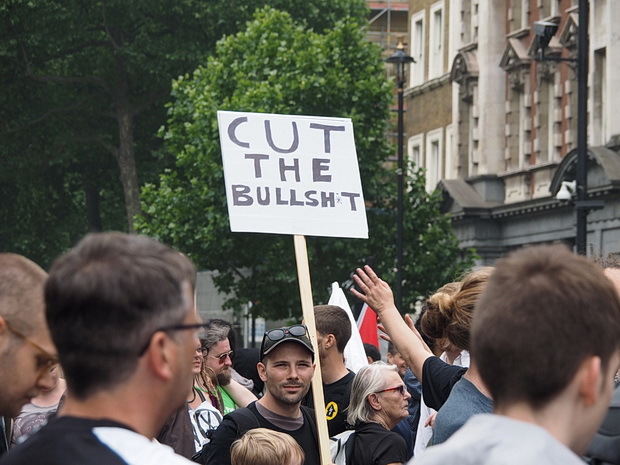 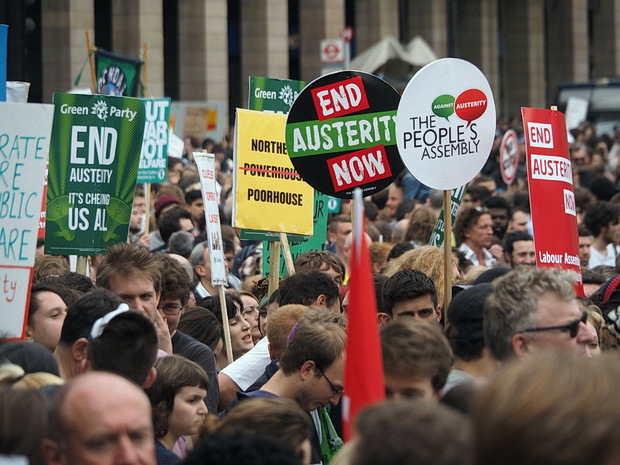 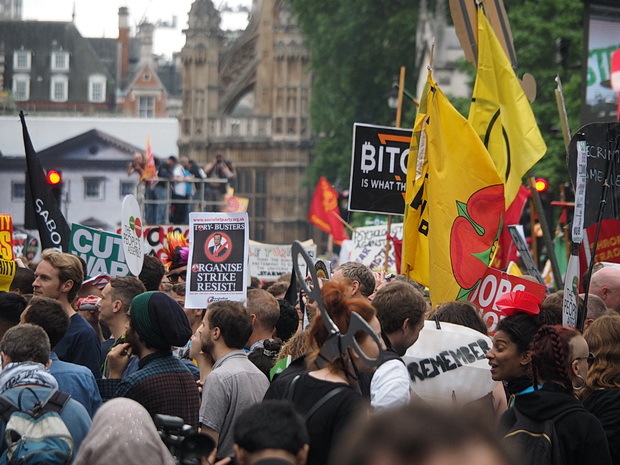 Tens of thousands of protesters filled the streets of central London today to protest against the government’s austerity measures. 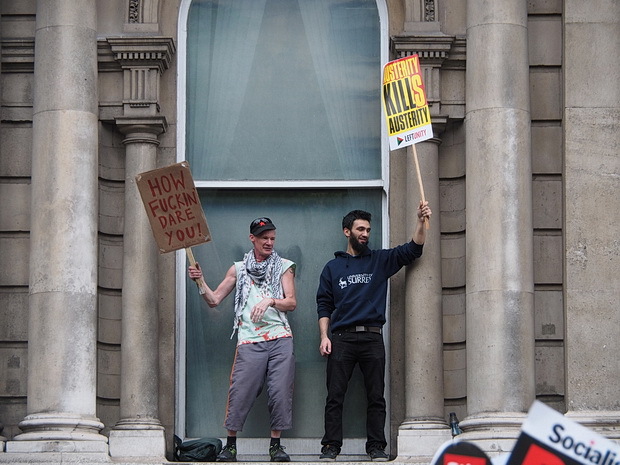 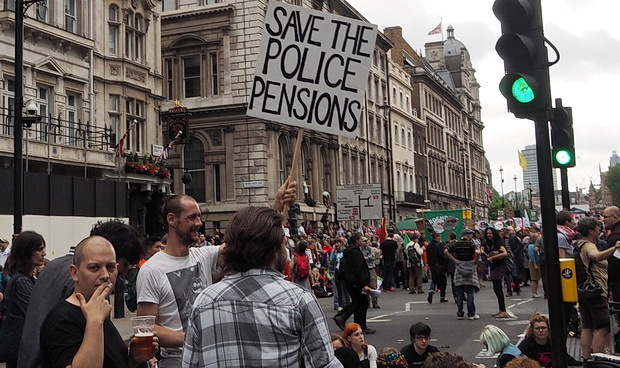 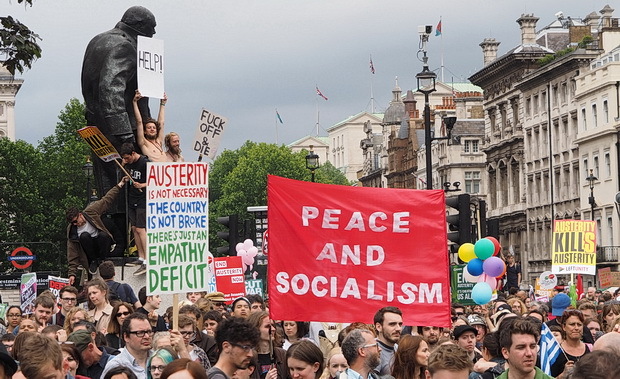 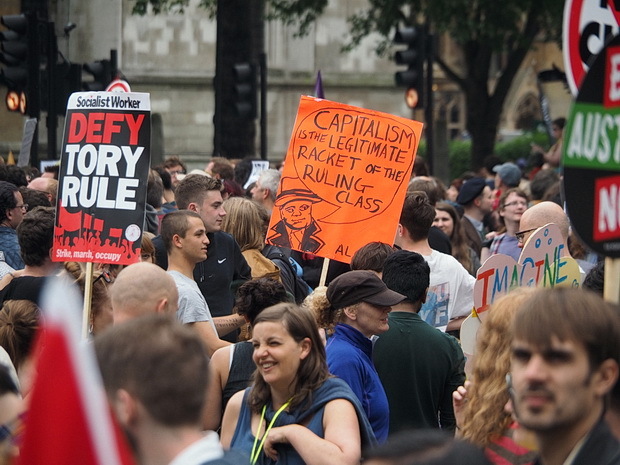 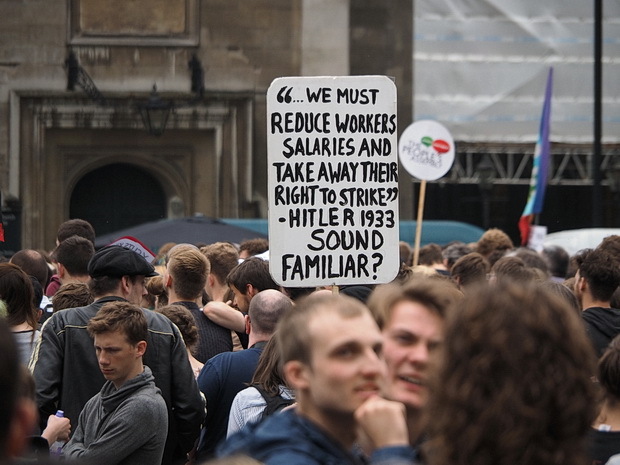 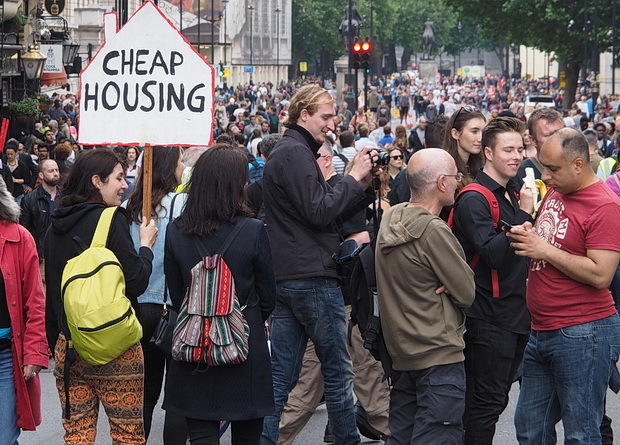 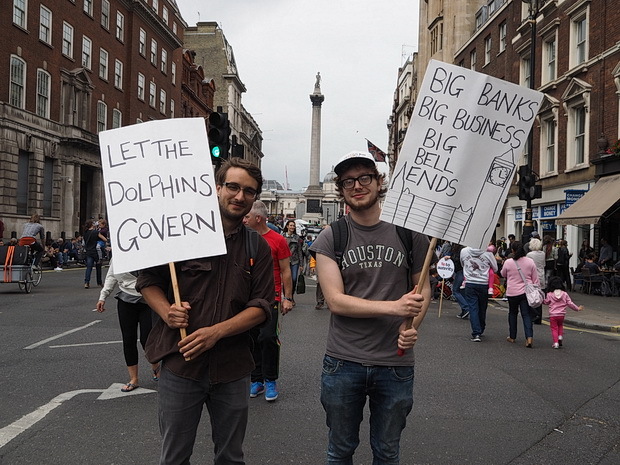 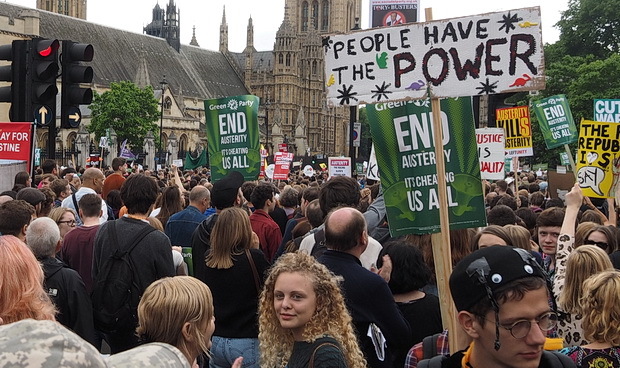 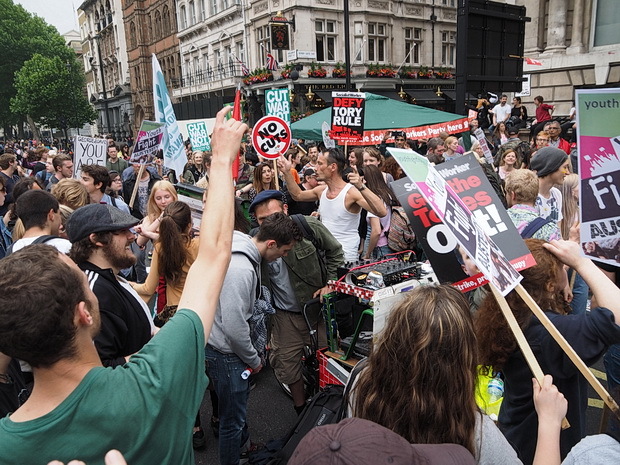 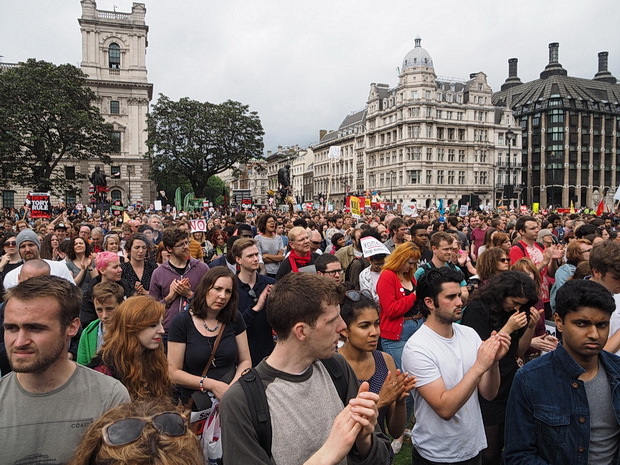 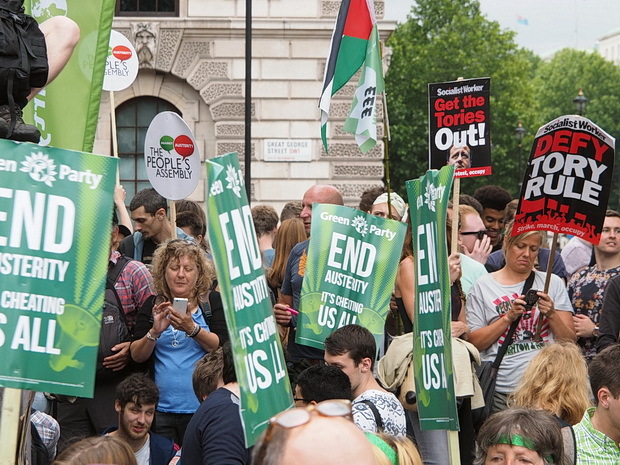 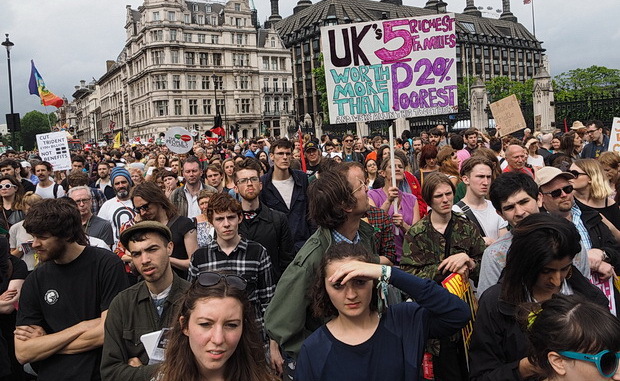 A estimated crowd of 250,000 people attended a rally outside the Bank of England before marching to the Houses of Parliament, where union leaders and celebrities including Russell Brand and Charlotte Church gave speeches. 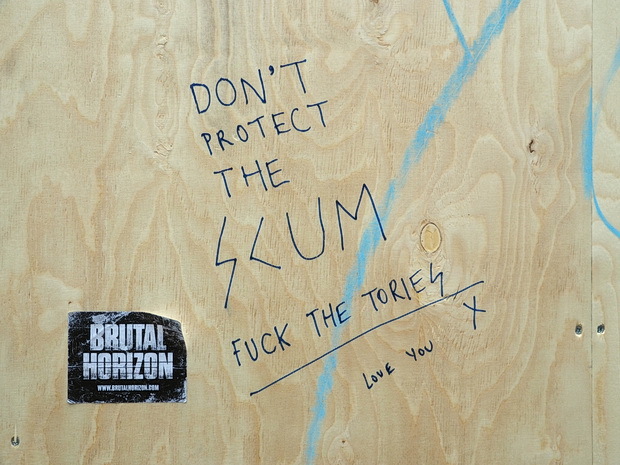 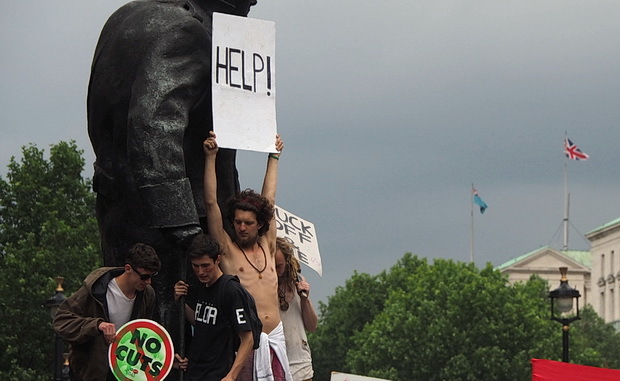 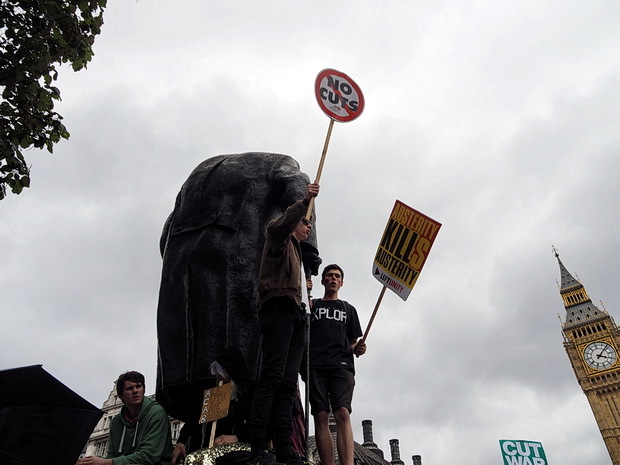 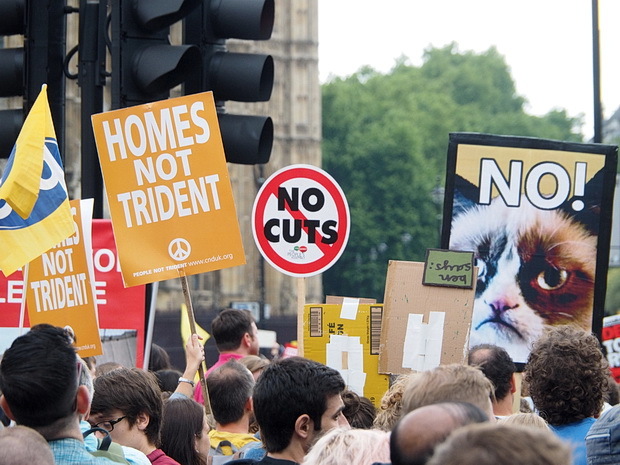 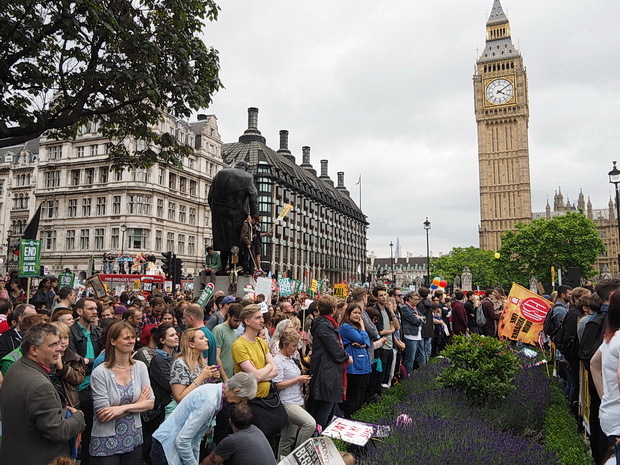 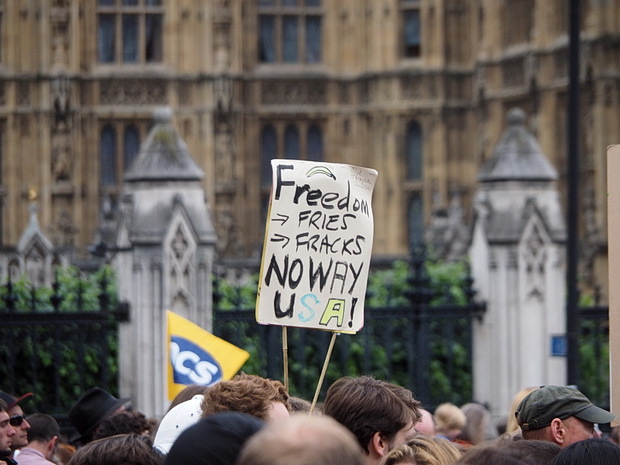 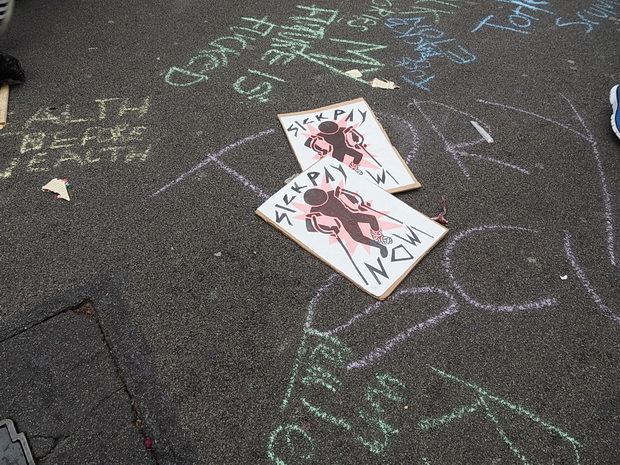 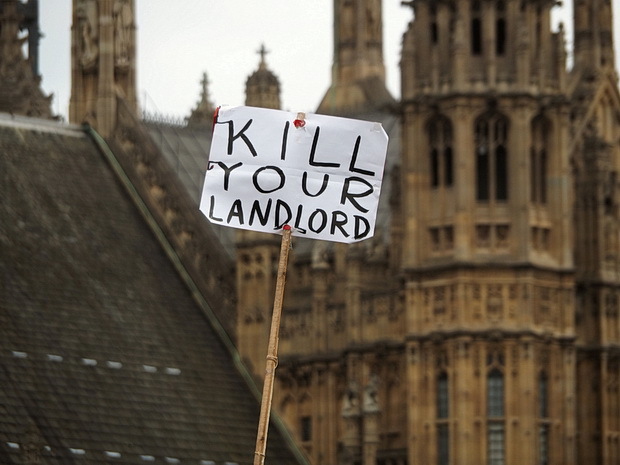 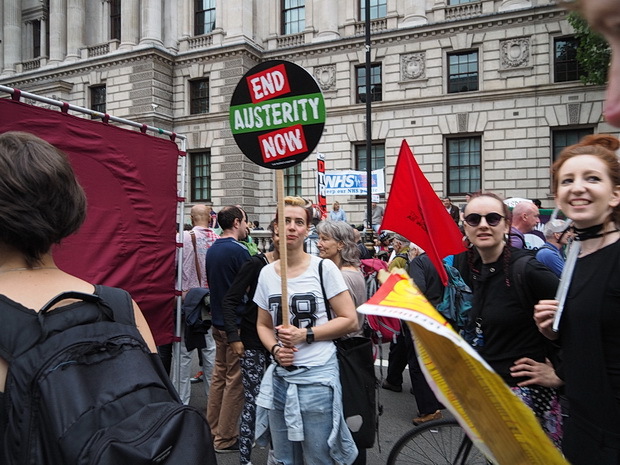 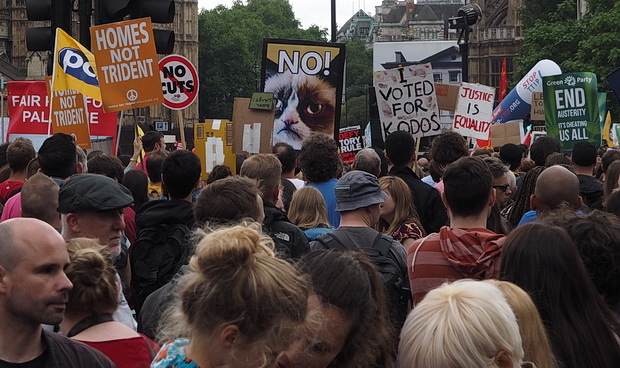 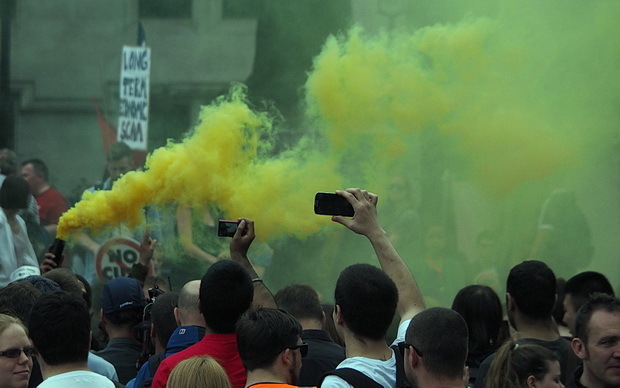 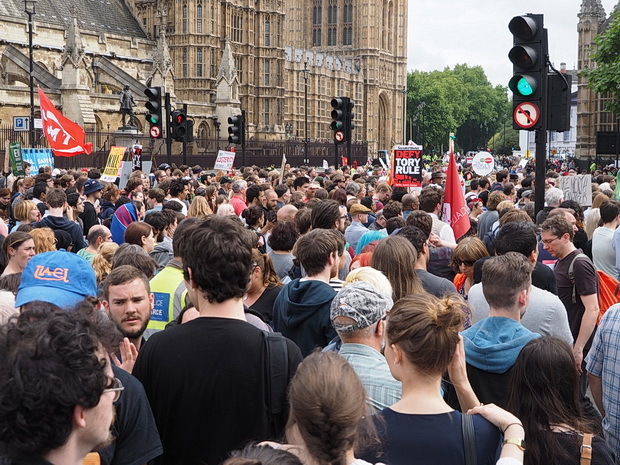 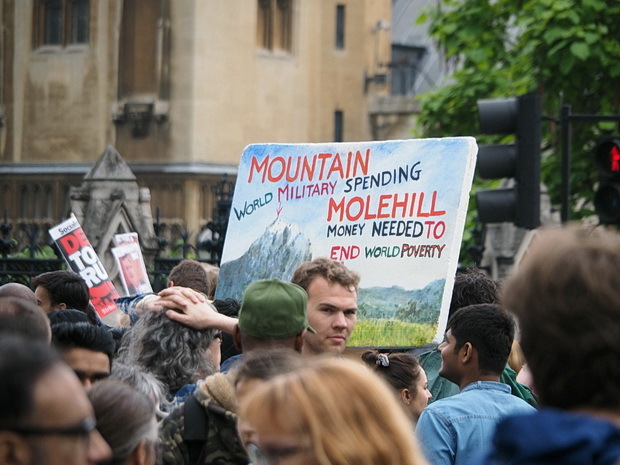 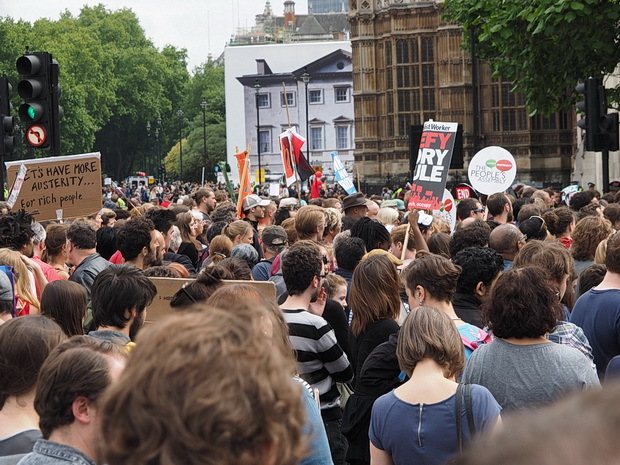 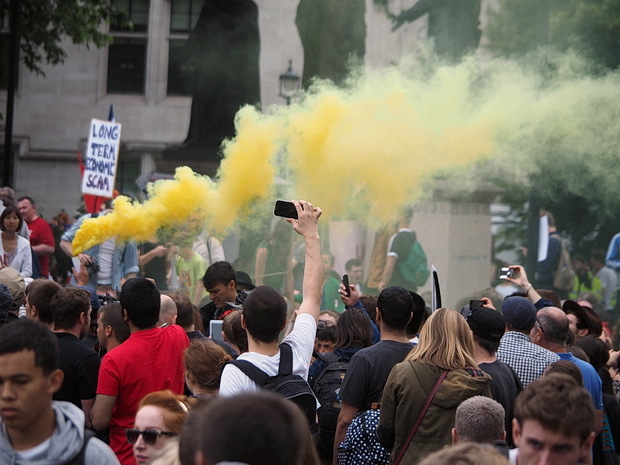 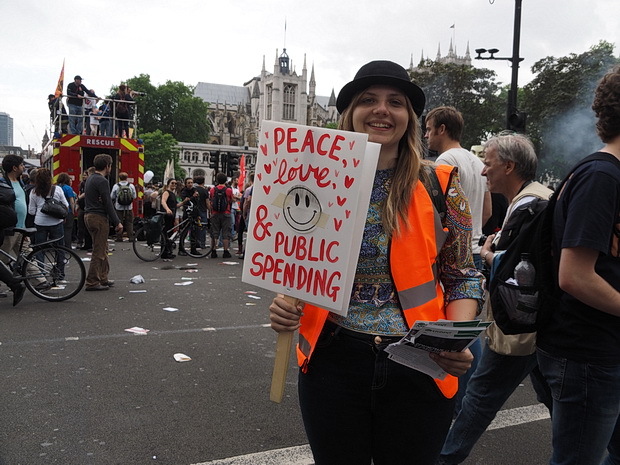 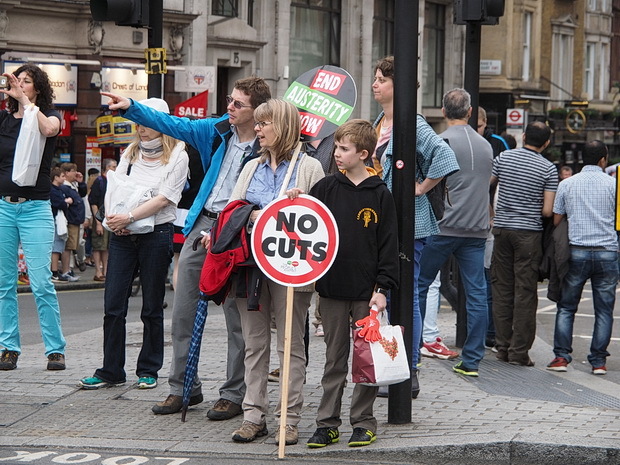 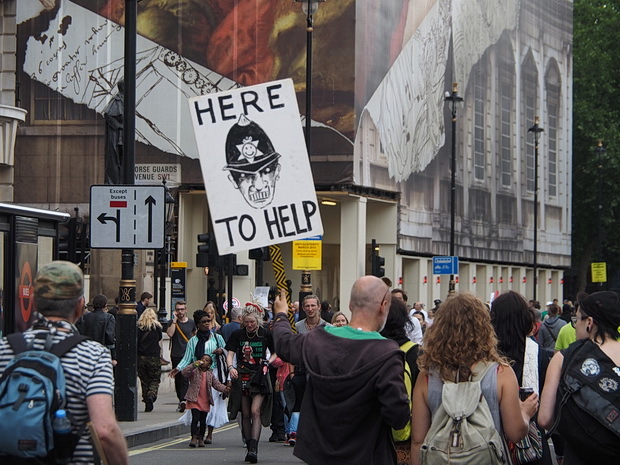 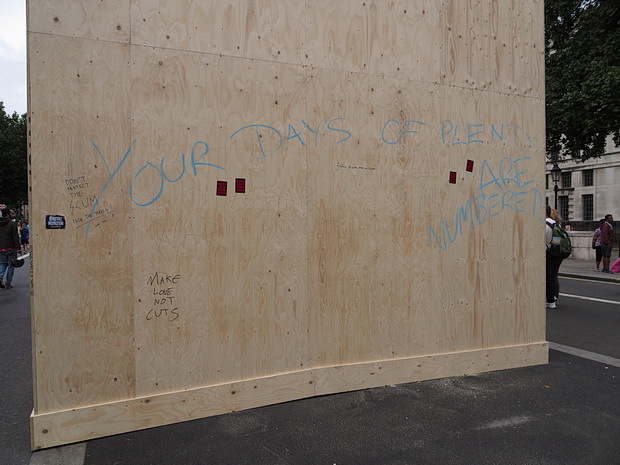 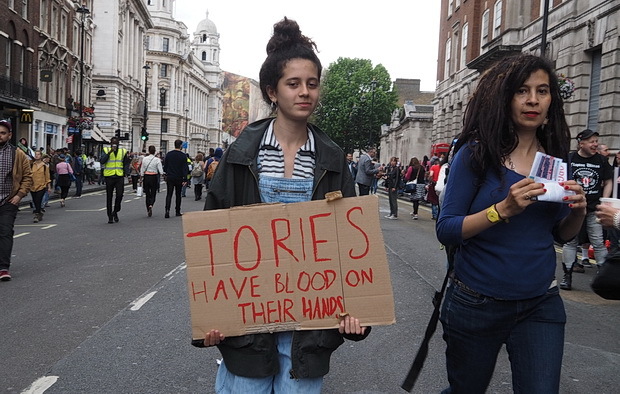 Here’s some photos from around Parliament Square. 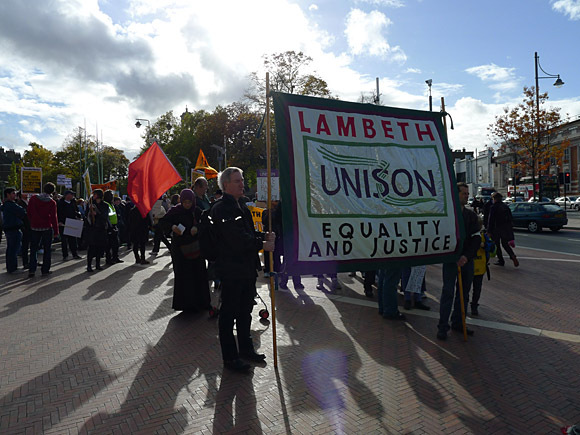 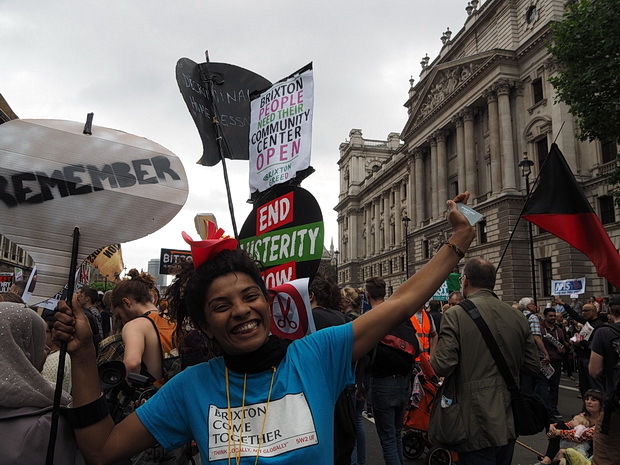 Brixton was well represented on the march. 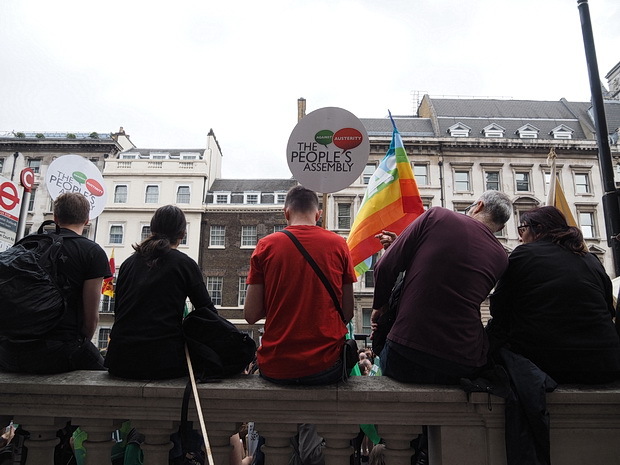 Earlier in the day, campaigners had assembled in Windrush Square before joining the march. 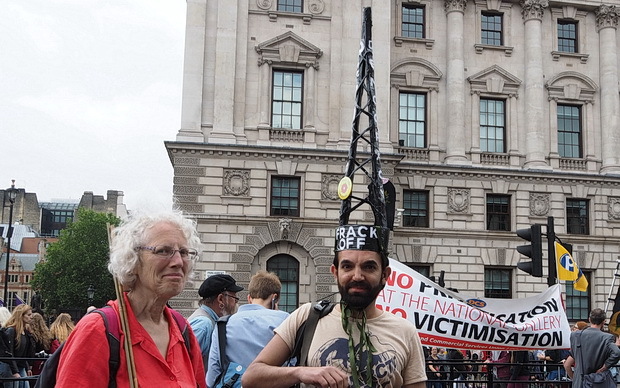 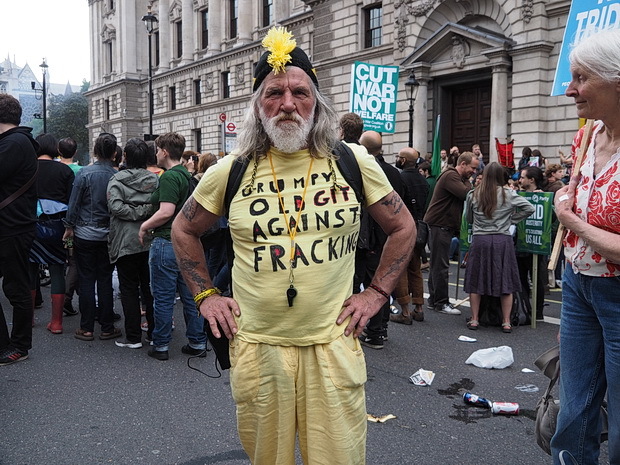 Grumpy Old Git Against Fracking. 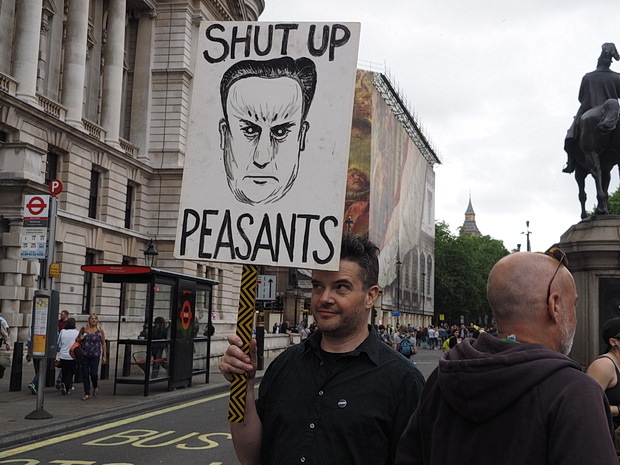 And he was indeed grumpy. 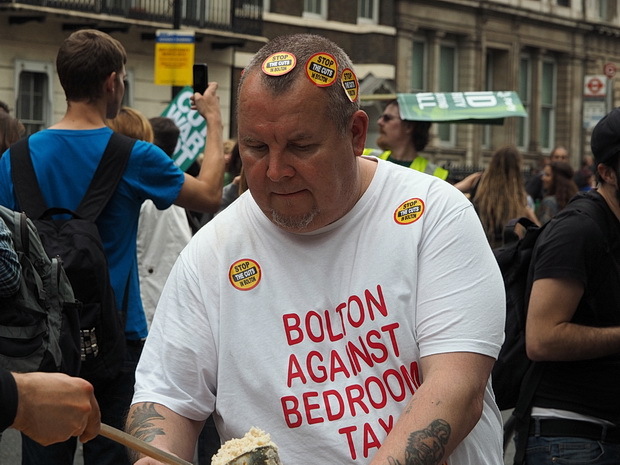 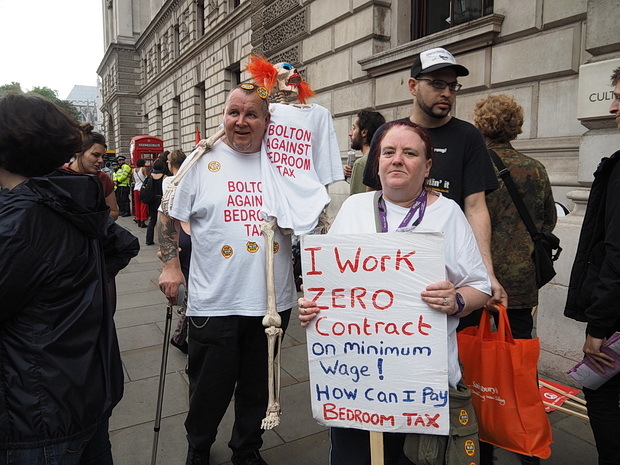 Anti Bedroom Tax campaigners from Bolton. 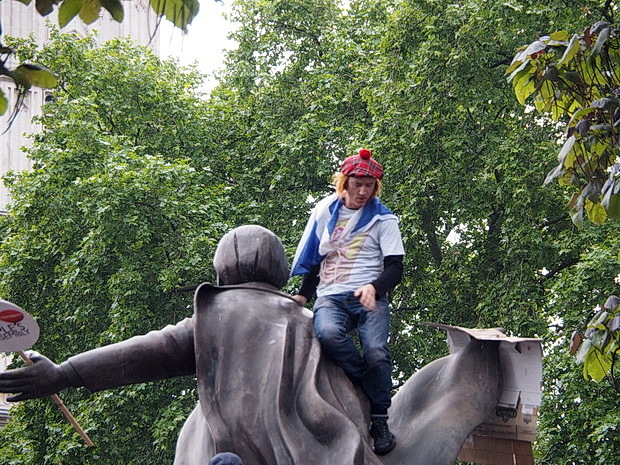 A Scot on a statue. 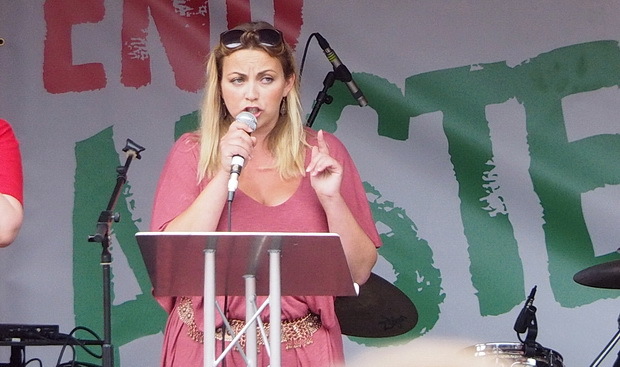 Charlotte Church gave a wonderfully inspiring speech. 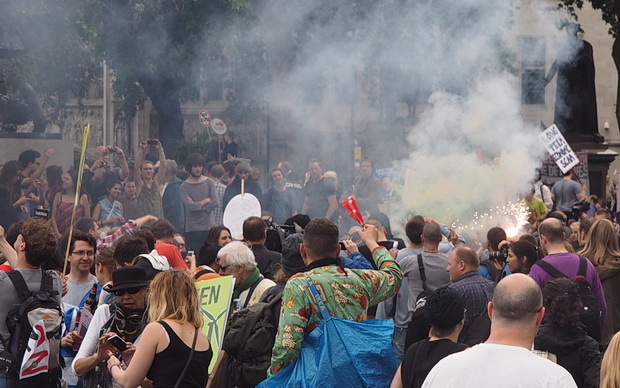 Flares go off in the square. 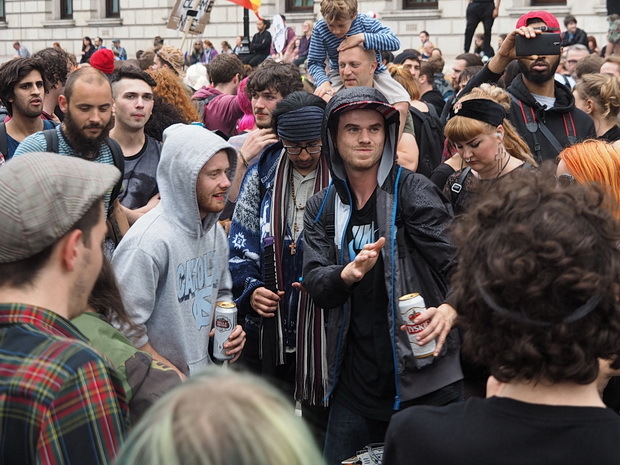 Another sound system attracts street dancers. 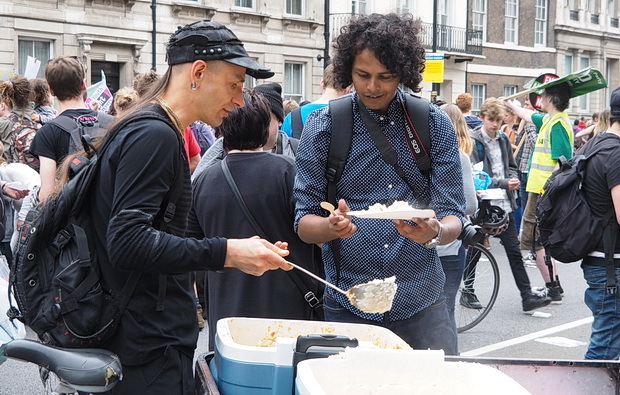 Free veggie food was served up. 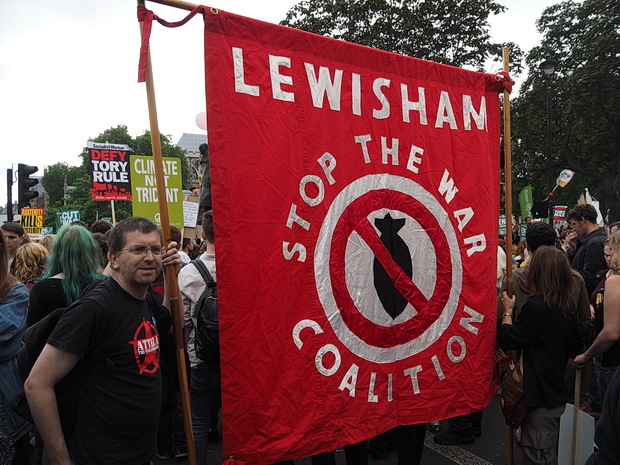 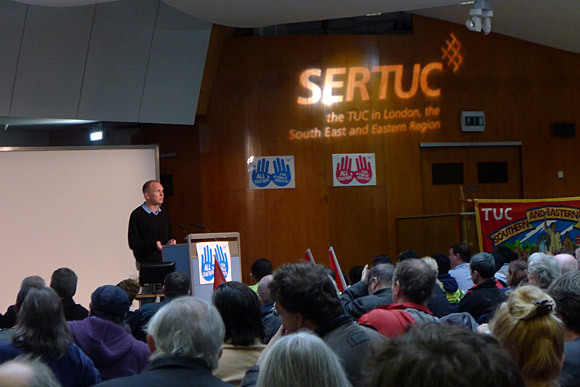 Chat about the march on the urban75 forums.